I have slightly wider feet and I find these skates insanely comfortable. There was no break in period, they were instantly a perfect fit. The added ankle support of Antik boots is what attracted me initially. I chose to have my boot customized with a suede tongue because I found the plastic a bit bulky. I do not regret this choice! I definitely recommend these boots! I bought these after about 9 months in riedell r3s that were destroying my toes, as the skates were too narrow. I had no pads left on my big toes. I took the plunge and went for Antiks. I reached out to Rollergirl for sizes and placed my order... (there was a fluke where they were actually out of stock and wouldn't have any for a while. I was sad - but the Rollergirl team is amazing and actually found a pair in the warehouse... and sent them my way) I was concerned with buying them given their price, and never having tried on a pair in my size. I don't regret it one bit it's been about 2 months now. They fit great, they're padded in all the right spots. The toebox is wider, allowing my toes room to live and be happy. I have the neo-reactor plates, and they're doing the job well. I love the lock for the toe stops, as my toe stops always fell out in my r3's. The break-in hasn't been too grueling, I had a bit of tender spots around my ankle but no blisters or cuts. I did buy insoles to help support my feet a little better. For people curious about buying antiks for ankle support, I don't find these have much more support than a lower boot, given how you have to lace them and the types of movements we do in derby, but it does provide a little bit of protection if someone kicks you by accident... TL;DR I love these skates - they're like a small bit of heaven. Buy them - you won't regret it, consider the price an investment for your feet. I purchased these little beauties after the plate in my freshie skates finally broke. I was short on cash, but have been lusting over these for quite a while so I made it work. 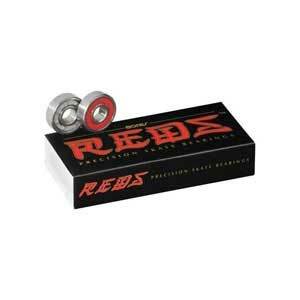 I opted for the Reactor Neo plates and skipped on the bearings and wheels to save money since I already had those. They came to $566.95 including tax and shipping on Nov 3, 2017. I absolutely LOVE my skates! The break in period was relatively short and I didn't even have to heat mold them! With my old skates I had to do special lacing to try to make my toes not go numb, but these babies are cushy, and fit light a glove! Thank you RollerGirl! Ebon, this is the AR 1 Phantom. I own a pair and love them. Purchased these during the sale with the Arius plates. They are well worth the price tag attached to them! I was using Riedell 265's before and these are much lighter and I feel I have better control in them. I also love that they offer a higher ankle support. I spoke with Zoe via email to ensure I got the correct size for me, and I wish i'd purchased these sooner. These skates are amazing. So comfortable, and provide the support to my ankle that I needed. I also don’t have anymore cramping or numbness in my toes! Not only are the skates great, but Rollergirl is super helpful! Always asking the right questions to help you get what you need. Highly recommend you do your derby shopping with Rollergirl!! Omg I love these so much!!!! I ordered these online without having tried them on in person ever, but by measuring my feet and talking to people about sizing, these arrived and fit like a glove! The breaking in period was a bit uncomfortable but ever since then they are like a dream. I got them with the Reactor Neo plates and these skates are SUPER light weight. Definitely recommend these to anyone.